I've done contract work for Provel Inc including taking over development of Provel Carve, and extending its feature set. I've been contracting with Provel Inc since 2009 working on end user software for their hardware, specifically their CNC Carver. I did the 3D graphics, file loading, and some of the shape processing in the original Provel Carve software. I am now upgrading and maintain it myself. This includes among other things, computing the tool path for the cutter, streaming the data to the carver, and allowing the user to specify a base to hold the object. During development, I very rarely had access to an actual carver (Only twice). I was able to debug issues remotely working with people testing my software with the Carver. I also had to deal with multiple versions of the carver hardware and firmware. This demonstrates my skills in working under suboptimal conditions, remotely and across disciplines. This project also involved many technical skills. 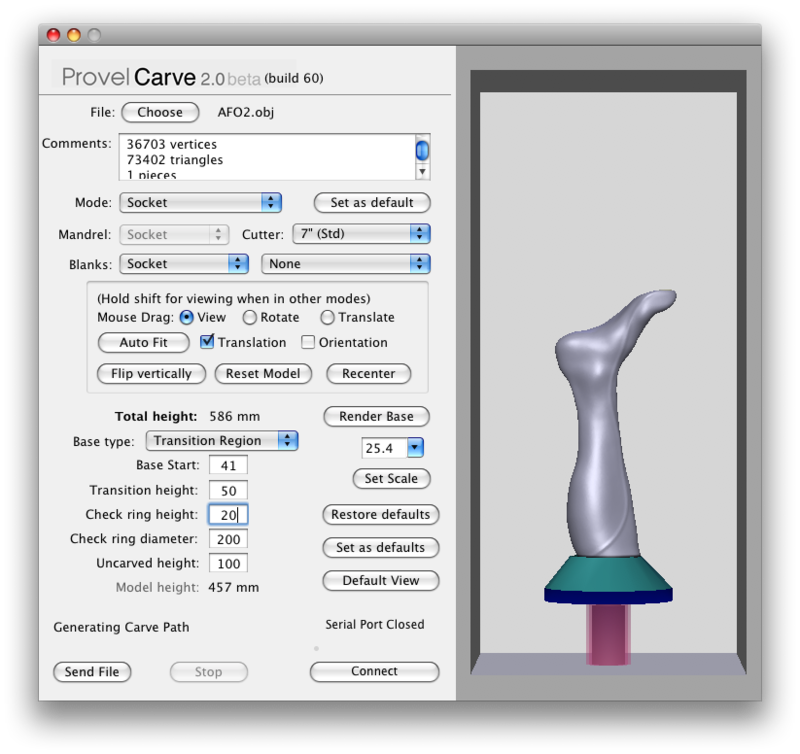 Provel Carve is a multithreaded application with many long running processes such as serial communication, generating carve paths, processing the 3D meshes. The user interface is complex and targeted at efficient use by trained processionals (owners of the Carver). Getting it all working smoothly and as simple while keeping all needed functionality as possible has been a long iterative process, and during it I have learned a good deal about user interface design and programming. I'm very aware of how constrains and requirements of real software often change through out development, and the impacts on my own and others code and designs. My success at adapting to these changes in requirements has given me a strong understanding of the importance of modular design and decision encapsulation. I know what it means to work on, maintain, and change commercial software.